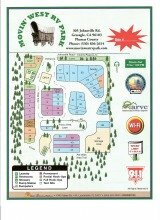 We have two Vacation Cabins for Rent for your Graeagle California vacation. 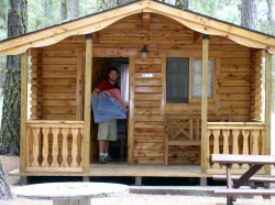 The cabins are located within easy walking distance of downtown Graeagle. Enjoy nights under the stars and days exploring the high sierra. The camping cabins are a nice upgrade from tent camping as they have a Queen Size bed and a set of bunk beds. The mattresses are four inch thick foam. There is no bedding supplied. The cabins sleep four persons comfortably. There is a twenty amp electric circuit for lights and two electrical outlets. The electrical can be easily overloaded and will pop the breakers. The circuit is designed for light usage. There are four things that we ask you not to do in the camping cabins. 1. No Pets inside cabins. 2. No ice chests inside cabin. 4. No cooking inside cabins. For the RV Park in general we allow campfires until the middle or end of June depending on local fire restrictions. From July first until the end of our season the fire danger is too high and the Forrest Service puts restrictions on fires. 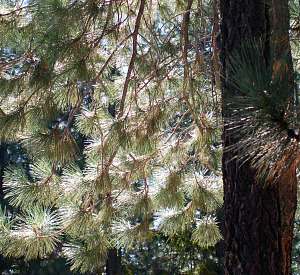 We really like our pine trees. You will be able to continue enjoying them also if we all protect them from forest fires. The forest is such a peaceful place to unwind from the stresses of the work week. Please use our online reservation request form , or call us at 530-836-2614, we will be happy to answer any further questions you have. 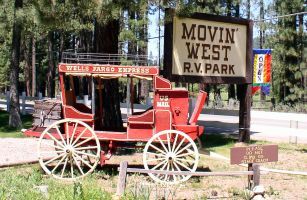 Our vacation cabins for rent are often used by family members who do not have their own RV yet and wish to stay in the park with friends and family that do have RVs. This is a convenient way to stay together in one location while enjoying all that Graeagle has to offer.